Thank you for your interest in The Ex-Christian Scientist. This site is edited and maintained by a small group of editors, and written content is submitted by volunteer contributors. All who are involved with this website are volunteers. Please be aware that since we are all volunteers, we have day jobs and/or other obligations. This means that we will get back to you as soon as we can, but not necessarily immediately. Answer your questions in order to help you gain a clear understanding of Christian Science and/or its effects on those whose lives it has touched. Forward your contact information to individual contributors to this website, and allow them to contact you at their discretion. Put you in contact with former Christian Scientists who are experienced public speakers, who are willing to speak publicly about their experiences. We are willing to write guest posts on relevant blogs or websites, and forward requests for guest editorial content contributions to our contributors. We will not grant interviews or give any statements ‘on the record’. We will not do television, radio, or other media appearances. We will not do lectures or other public appearances. We will not give out contact information for contributors to this website. We will not assist in any way with the production of ‘reality’-type media programming. Why won’t you assist in the production of “reality” programming? We specifically mention this because some of us have been contacted by people who produce ‘reality’ television programs. Generally, we do not like how interviews or other ways people participate are edited to suit a producer’s sensationalized vision or preconceived notions of what the final product should be. For example, we don’t think Breaking Amish is a particularly accurate portrayal of the Amish. We will not contribute to a similarly false and/or sensationalized portrayal of Christian Scientists or those who have left Christian Science, even in a background role. Why won’t the editors do media appearances or speak “on the record”? We do not wish to be the public face or spokespeople for former Christian Scientists, and we do not wish to become public figures. Will you help me contact other former Christian Scientists? 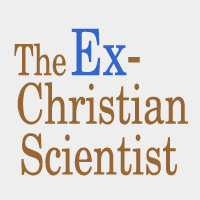 We will forward your contact information to those who have contributed to this site, and other former Christian Scientists. They will contact you at their discretion.